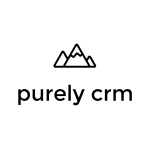 VANCOUVER, British Columbia–(BUSINESS WIRE)–lt;a href=”https://twitter.com/hashtag/CRM?src=hash” target=”_blank”gt;#CRMlt;/agt;–The Purely Mobile Connector is a cloud-based middle tier solution released by Purely CRM as their next product following the “Purely Web Lead Connector”. The Purely Mobile Connector allows you to connect native mobile applications to Dynamics 365. This solution allows for increased functionality when managing your mobile applications, by enabling you to setup custom approval processes, meta-tagging, photo-editing, and more.